Ways in which schools can prepare themselves for a crisis, even if it means thinking about the unthinkable. No school wants to imagine that a crisis could happen on their own school trip. Unfortunately, once every dark day, accidents – which are unpreventable as far as school staff are concerned – happen. In the absence of a crystal ball, schools should be prepared for the worst. It may be a cliché, it can often sound patronising, but the mantra, Prior Planning Prevents Poor Performance serves the practice of school trip crisis management pretty well. Of course, all schools who take their pupils on school trips will have risk assessment policies and health and safety practices in place. However, there are a few easy tasks they can complete regularly, and a few additional elements they can think about, that can make all the difference in the case of a real emergency. How often does your school review its crisis management policies? Andy Lavin from the Outdoor Education Advisors Panel suggests that: “Teachers involved in organising school trips can do worse than regularly checking that their school’s policy is in line with both local authority or other employer guidance, and national guidance, too.” Schools should carry out an annual update of their procedures, at the least. Most pupils carry a mobile phone these days. In the event of an emergency the most natural thing for some children to do is to take to social media. If the unexpected happens on a trip, you’ll want to enforce a blanket ban on pupils using social media. This will be easier to do if the children are prepared for this to happen. Teach pupils in advance about the importance of not generating panic if an incident occurs. 3) Are you sure you have back up at school? 4) Do you have a press officer? Not every school has the budget for a fully trained press officer, but they are worth their weight in gold in the case of an emergency. Local council press offices often offer training to teachers on how to deal with the media. Alternatively, some marketing agencies deliver courses offering schools advice on how to deal with the press. 5) Could a third party help? If you’re going abroad, you might want to consider getting the extra help of a school-orientated security company like Locuro. 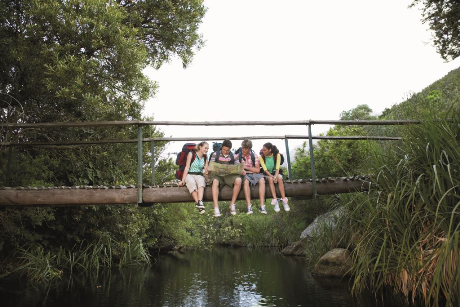 At a basic level, Locuro sends a handset away with school trip leaders that tracks their location at all times. Back home, authorised parents can log-in to a secure internet page to see where their child is. At a more complex level, Locuro has a 24/7 emergency response centre that monitors global threats around the world. It’s manned by ex-RAF staff who have worked in fields like radar and intelligence in the past. When an incident happens, this response centre knows automatically how close its user schools are to the epicentre. It can warn staff and reassure parents back home if necessary. You can find more useful advice about school trip safety by visiting the School Travel Forum website at www.schooltravelforum.com.